I decided that I'll put again on sale next spring kit from 2012. This is really typical fresh spring kit. I had set for you also a bargain pack in the form of a photomasks and kit in package for a better price. So feel free to come look at the kit or on amazing layouts from this kit. 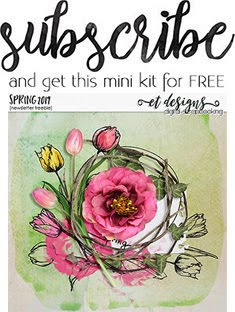 Stunning spring kit!!!! Makes me want spring coming soon. love the kit.. i can't get the coupon in the news letter to work.